The Meaningful Movies Project is a non-profit organization that screens free documentaries within Seattle area neighborhoods. The screenings are intended to raise awareness, encourage dialogue and create positive change. Opportunities for discussion follow each screening. Sustainable Ballard has partnered with Meaningful Movies to present documentaries in our neighborhood. You can check out our page here. To stay informed about future screenings, you can subscribe to our newsletter (sent out about once every three weeks); contact Margaret to be added. We’d love to hear what you want to see! What topics do you want to explore? Do you have a specific movie to recommend? To provide input, or if you are interested in volunteering with Meaningful Movies: Sustainable Ballard, please e-mail Margaret. 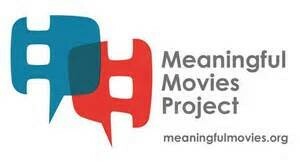 Meaningful Movies : Sustainable Ballard is a member of the Meaningful Movies Project, with support from 4 Culture.